Upcoming Show: December’s House Party 5! It’s the best! 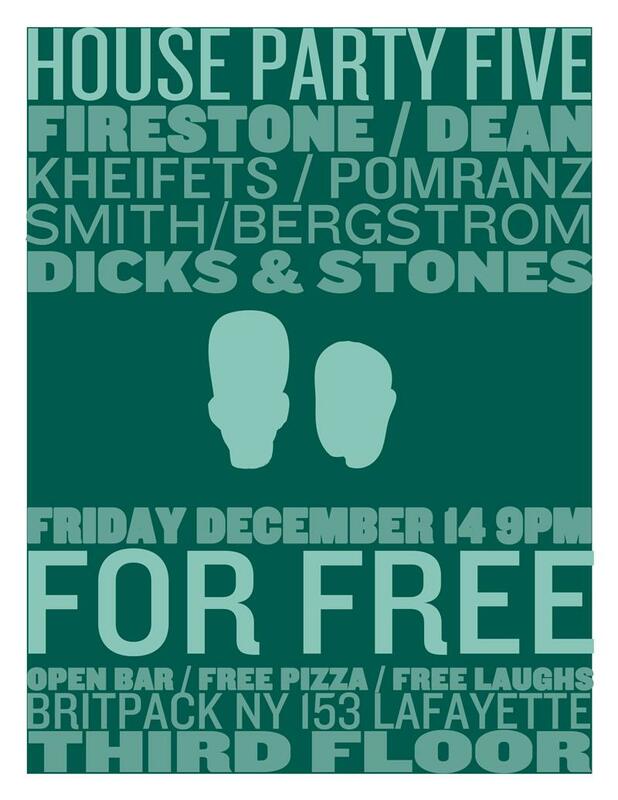 Come on down this Friday at 9pm… Enough comedy, pizza, drinx n high fives for EVERYONE! FRIDAY 9PM AT BRIT PACK THEATER 153 LAFAYETTE, 3RD FLOOR, BUZZ TO GET UP!